Congratulations! You’re expecting a baby! This is probably one of the most exciting, exhilarating and slightly nerve-wracking times of your life. You’ve likely created a registry and have started planning for everything you’ll need once your little one arrives. One item you should definitely include on your checklist? Scheduling a newborn photography shoot. The first few weeks after you bring baby home can be a whirlwind of emotions, meals, feedings, and naps. 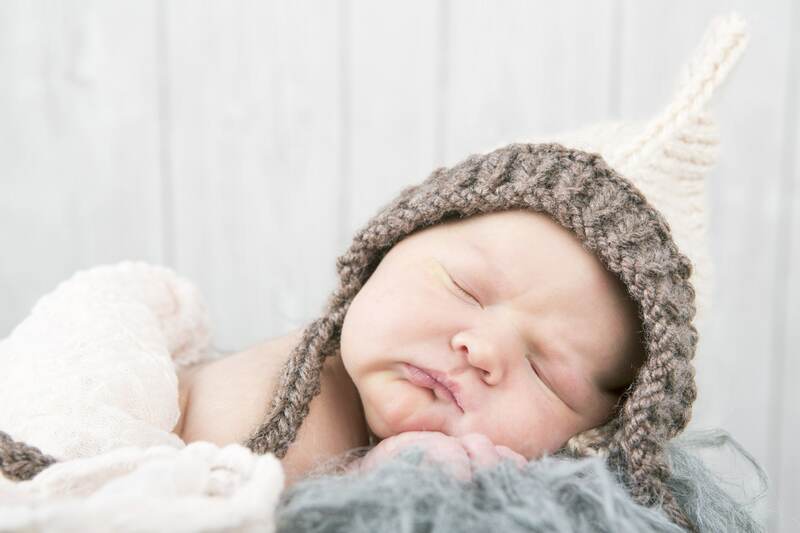 As most newborn photography sessions occur within five to 10 days after birth, it helps to have a few ideas in mind so when the time comes, you’re not stressing over poses. 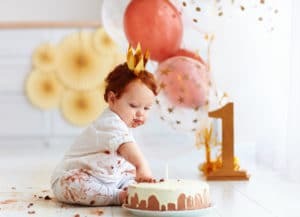 Today, we’re sharing 10 adorable ideas sure to capture the personality and preciousness of your new addition. As new parents, you’ll likely spend plenty of time lounging on the bed with your new baby. It may also be the spot where you take care of feedings and diaper changes. One of the sweetest newborn photography ideas is to gather your whole family on the bed for an intimate and comfortable shoot. Try letting mom hold the baby, while everyone gathers around and looks down at him or her. Or, line up all your kids oldest to youngest, with the parents smiling proudly behind them. You’ll appreciate the plush pillows and back support, and everyone will enjoy the cuddle session that will certainly ensue! There’s nothing like becoming a dad. Whether it’s your first time claiming that title or your 10th, it’s special every time. Another newborn photography option is to snap a few pictures of dad cradling baby in his arms, softly kissing him or her on the top of the head or on the nose. You can also place the baby on dad’s chest and let him look down lovingly. Either way, the formula of masculinity meets vulnerability makes for a snapshot you’ll cherish forever. 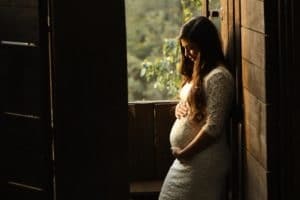 By the time your newborn photography shoot rolls around, even though it’s only been a few days since your baby was born, you’ve certainly spent plenty of time cradling that precious bundle. Why not let your photographer capture that special bond? There are myriad different ways to cradle, so choose the one that’s most comfortable for you. Try to drown out the clicks and background noise and focus in on that tiny face in front of you for a more genuine shot. Did you just add a new member to your already growing brood? If so, get the siblings in on the action and let them take part in your newborn photography shoot! If you opt for the family bed portrait, take a few pictures of the siblings lying side by side. If you have older children, consider letting them hold the baby in their arms. Another sweet idea? Sibling kisses! Put baby in the middle of the sibling pile, or beside a solo sibling, and tell the children to pucker up! Newborn photography sessions don’t have to occur in a studio! For a fresh twist on tradition, consider taking your pictures outdoors. If the weather permits, find a nearby park or pasture and lie baby down on a blanket. Hold the shoot during golden hour and get some gorgeous images of your newborn against the setting sun. All because two people fell in love, right? Your newborn wouldn’t be here without the connection you and your partner share. Capture this love by giving a sweet kiss to each other while holding your baby in your arms together. Or, get the whole family in together and share a quick smooch while the siblings and their new best friend look on. Done safely and correctly, swaddling can be a great way to physically and emotionally comfort your baby. Mimicking the feeling of being in the womb, a swaddle can help your baby feel secure and safe while he or she is still getting used to the world. With many different fabrics and patterns to pick from, there’s a swaddle to fit any newborn photography theme. Work with your photographer to find the one that works best. Once you’ve made the swaddle, lie baby down on his or her back and snap away! Your newborn is only a squishy, squeezy bundle for a little while. Capture that sweet innocence by placing baby on his or her belly, turning the head, and propping it upon the arm. If you have a little girl, try accessorizing with a simply floral headband for a nice touch. For a little boy, there’s nothing more precious than a tiny bowtie! You’re the two people responsible for bringing this bundle of joy into the world, but it’s fun to let him or her take the total spotlight right now. To express this sentiment, hold the baby in your arms and ask your photographer to blur your figures into the background. That way, the focus is all on the baby, though you get to be in the picture too! To get this creative shot, lie on your back, then place baby’s head at your head, so your feet are opposite his or hers. Reach up and cradle that sweet-smelling head in your arms and smile for the camera. Consider getting the whole family involved and form a big head-to-head circle! 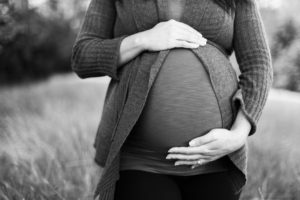 Are you anticipating a new baby in the near future? Or, is a close friend or family member preparing for a new addition? If so, we’d love to help capture those first few days. We’re a family photography business specializing in newborn, child and family photography. We love creating beautiful images that your loved ones can keep and treasure forever. Contact us today to get started and congratulations again!